Rheumatology, Orthopaedics and Trauma at a Glance is the new edition of The Musculoskeletal System at a Glance. 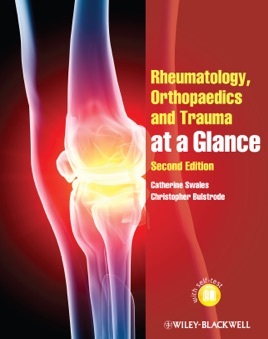 The book now includes not just basic anatomy, but also features presenting complaints and patient examination and reflects the increased coverage of rheumatology, making it relevant for students at all levels. Rheumatology, Orthopaedics and Trauma at a Glance is ideal for all medical students studying the musculoskeletal system or taking an orthopaedics or rheumatology rotation.